Set oven control to broil. In medium bowl, mix turkey, water chestnuts, onions, teriyaki sauce and pepper. Shape mixture into 4 patties, each about 1/2 inch thick. Place on rack in broiler pan. Broil patties with tops about 6 inches from heat 4 minutes. Turn patties; cook 6 to 8 minutes longer or until meat thermometer inserted in center of patties reads 165°F. 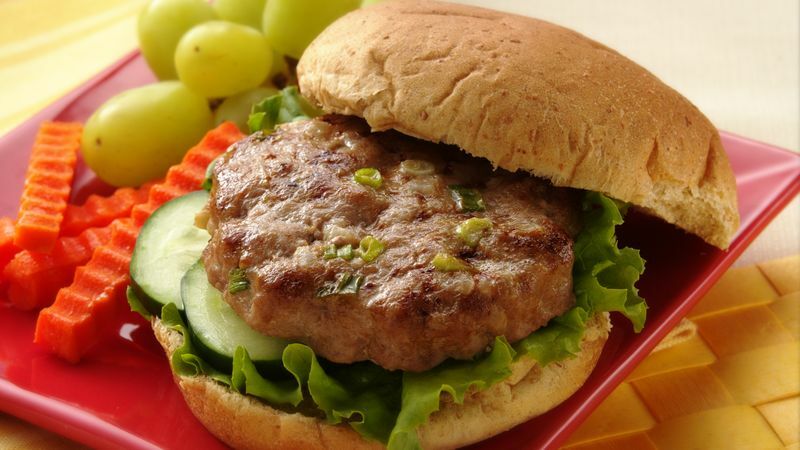 Place patties in buns with cucumber slices and lettuce leaves. Turkey burgers don't brown as much as beef burgers do—they're done when the centers are no longer pink and the internal temperature is 165°F. If overcooked, they'll become dry.